S.M.D. 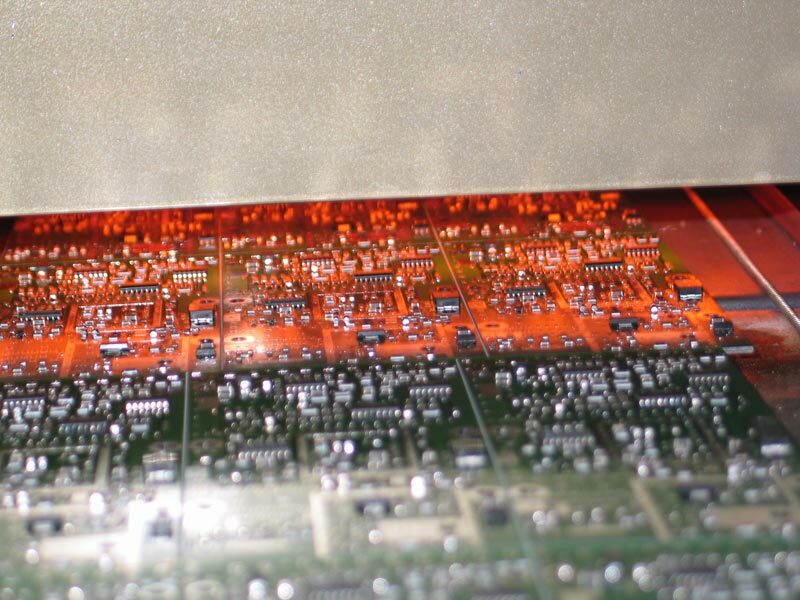 - Equipment - IR Redflow system "S.M.D.-Trassa-5610"
Designed for soldering surface-mounted printed circuit assemblies. 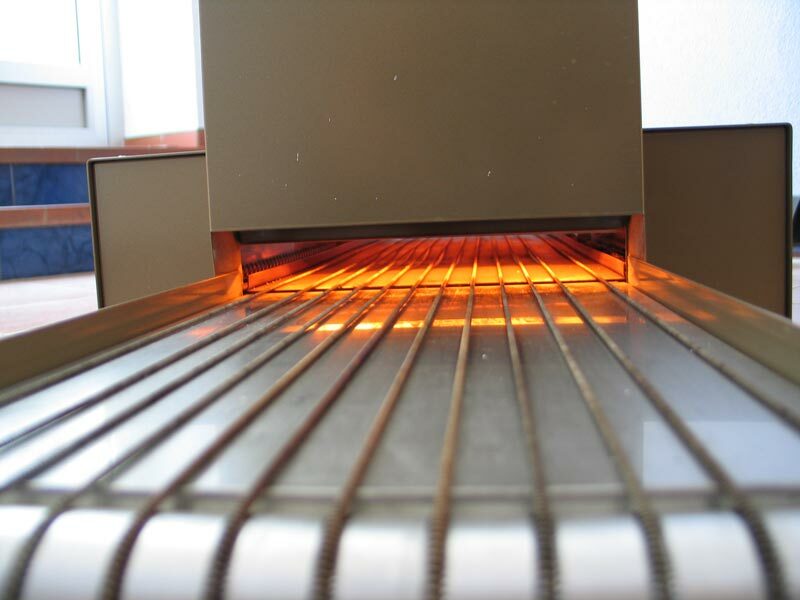 It has 5 heating zones, pre-heating zones have two-sided heating, bottom one can be easily turned off. 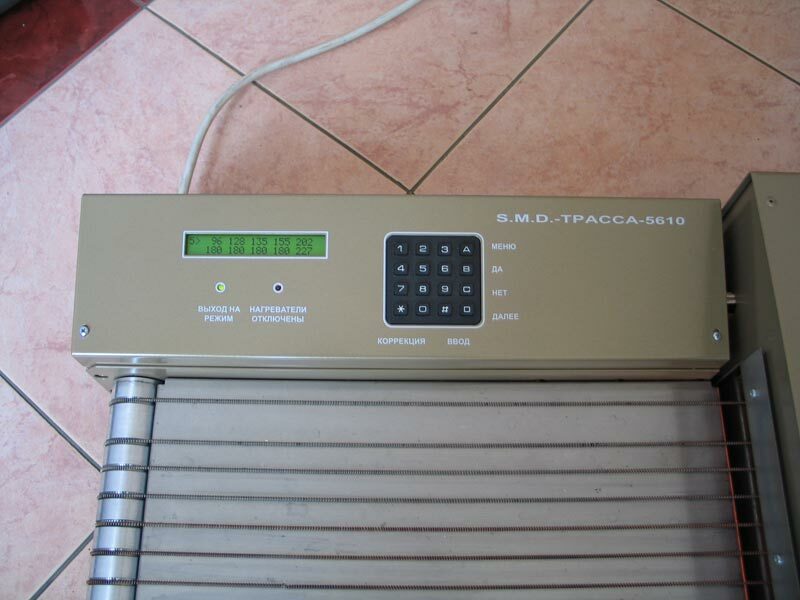 "S.M.D.-Trassa-5610" is equipped with a microprocessor-based control system that allows to keep given conditions for proper soldering, saves in it's memory up to 10 temperature presets. An external thermode can be attached to improve the temperature control. PC can also be attached for convenient displaying and handling temperature presets. 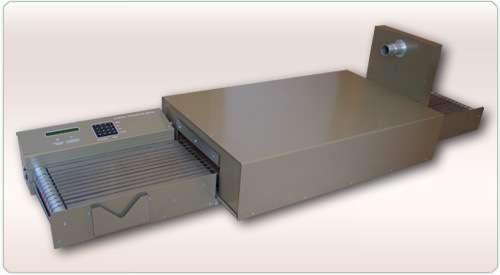 Device has a conveyor made of steel spring cables with ajustable movement speed. All parameters and indications are displayed on LCD screen. Exhaust ventilation can also be connected to the device.